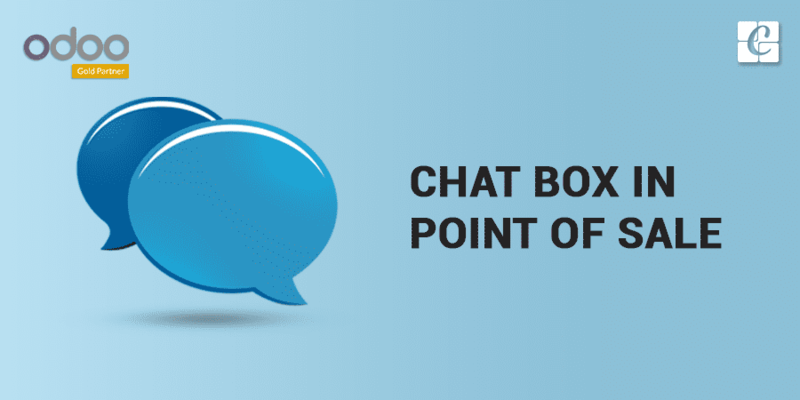 This blog gives you a brief idea about POS Chat Box. As we know Point of Sale system is an advanced and combined software that deals with several related hardware machines and user interface system to simplify sales to a point. In Odoo ERP, there is a nice and highly featured module for POS. Here we can easily configure various hardware like a cash drawer, Barcode scanner, Alert It's, Printers etc. with its software part. Normally in Odoo ERP, there is an attractive interface to chat with the users. So users can send the information to any others via this chat box. Not only in text format, it also supports all advanced types of files like pdf, zip file, doc files, songs formats etc. This facility is a big tool in ERP point of view. Because, for some points, an ERP may host on a cloud system or leased server, the users may from different nations and for the proper working of a company is only based on the employee's unity and understandings. Although, Normal Odoo has no chat feature inside the POS screen at any versions. Cybrosys brings this user's chat feature in POS by “POS CHAT” custom module. This customized module opens a chat box screen on the right bottom as Odoo standard. POS users can pass any information to their colleagues instantly. This module will work with enterprise edition also. * New Chat Button on the right top. * Button clicks gives recent chat and selective menus. * Clicking on any users, the Chat box will appear.